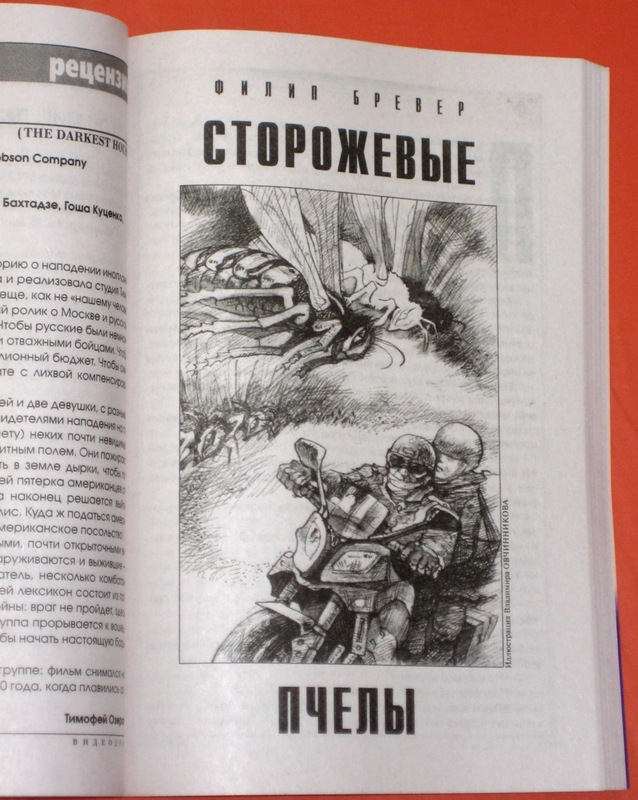 Contributor’s copy for “Watch Bees” in Russian! In the post yesterday I found my contributors copy of the Russian magazine Esli (If) with the Russian translation of “Watch Bees”! I’d been keeping an eye on their website, expecting that they’d update it with the new issue before I got my copy by international mail, but the paper copy arrived first. Very interesting to see my name transliterated into Cyrillic characters. I happened to know that the character that looks like P is pronounced as R, so I was tentatively able to spot “Brewer” in the table of contents by the placement of the Ps. I still wasn’t sure, of course, but my feeling was somewhat strengthened by the initial character of my first name looking like a Greek Phi. What a great picture! It captures a key scene in the story while avoiding any spoilers. I haven’t very often gotten an illustration for one of my stories, so I’m especially pleased. 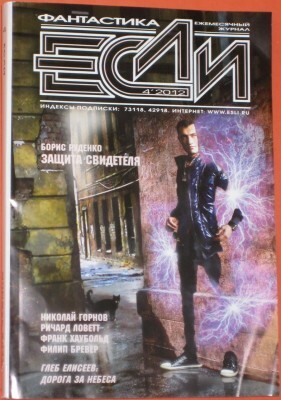 My mother-in-law, who speaks some Russian, has been asking after this issue. She’ll be very excited to learn that it has arrived. Author Philip BrewerPosted on 2012-04-14 Categories Media, NewsTags art, cyrillic, my work, reprints, russia2 Comments on Contributor’s copy for “Watch Bees” in Russian!